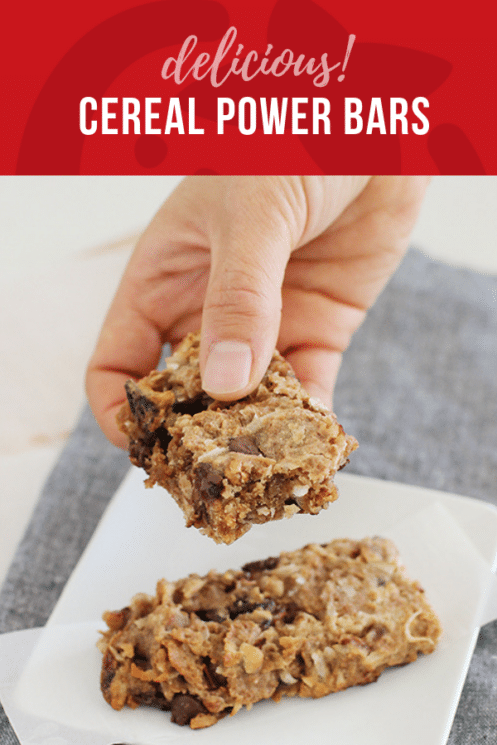 A power bar without the price! 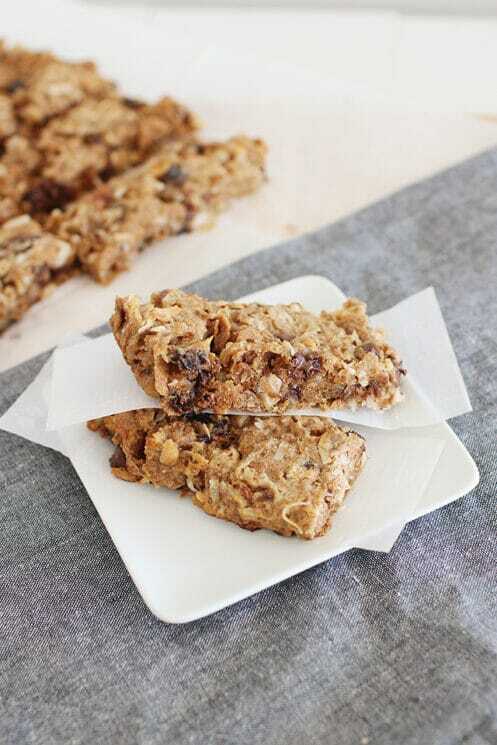 These snack bars have a variety of power ingredients for protein and fiber! Picky Eater Tip: Let kids choose how much food to eat. I get a lot of questions regarding how much children need to eat in a day. The problem is there are so many answers to this question, and your child is the one that should be answering it. Even the new food guide pyramid is more customized than in the past. Here’s the thing; if kids are eating healthy, whole, natural food, they will be better able to sense fullness and hunger. When kids are given high-calorie, low-nutrient food, they lose their sense of satiety. Kids today consume large quantities of calories, without fiber and vitamins, so they don’t feel full. Then, they are trained that whether they are hungry or not, it’s noon and time for lunch, or the clock says it’s dinner. The disconnect continues until as they reach adulthood, they have lost all sense of listening to their bodies. What is the solution? The solution is to provide healthy food when they are hungry. Not make them “clean their plate”, and ask them to evaluate how much they need to be full. Two nights ago, my daughter had three helpings of chicken and rice! WOW, she must have been hungry. Last summer, my oldest was swimming an hour a day and he was eating tons of food. However, some days I can hardly get them to eat a thing. This is O.K. When we had breakfast with my husbands family this morning I started to clear the plates from the children. It was interesting that so many of them were able to leave one or two bites of their pancakes on their plate because they got full. But adults hardly ever do that. Every adult plate was licked clean. I tend to eat everything on my plate, even when I get full halfway through. Oh, if we could only become like the little children and get our sense of hunger and fullness back. Snacks can be a bridge to fill nutrient gaps in kids day, as well as fill their small stomachs between meals. We like to keep our snacks small, but filling. 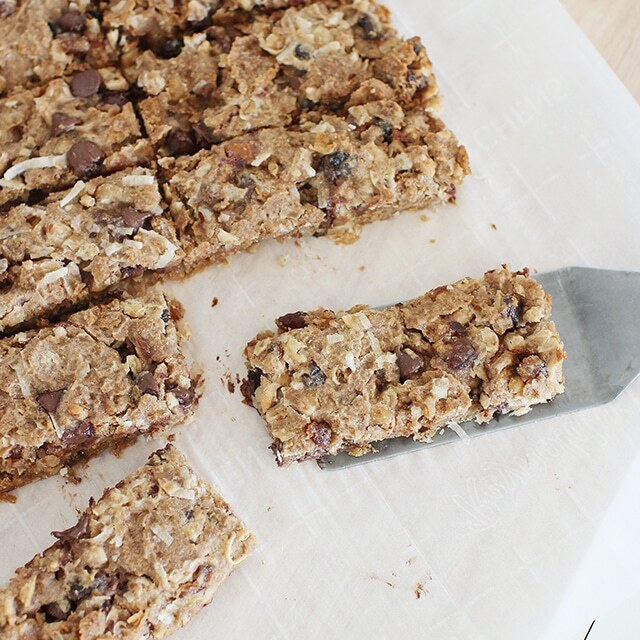 These bars are exactly what we like when we need something between meals. What I love about these: The beans!! The dates!! The coconut!! The cinnamon!! The high fiber cereal!! And that the kids loved them! Everyone agreed they were amazing! Preheat oven to 350 degrees F. Line a 9×13-inch baking dish with foil. Drain and rinse the beans; mash, or puree using a food processor. Chop dates and add to a large mixing bowl with cereal, coconut, brown sugar, flour, cinnamon and beans. In a separate bowl melt butter. Add honey, oil and vanilla. Mix well and then drizzle into bean mixture, sprinkle with salt and mix together. Add chocolate chips, blend well. Spread in prepared baking dish. Bake for 30 minutes or until the edges are browned. Cool completely and cut into 12 bars. Looks like a great snack to me! Two questions: where did you get your dates? And were you able to find unsweetened coconut? Love this idea, though I’m never sure how the picky eaters in my house will take to a recipe until I try it. I just saw a recipe in my email for lemon bars and it called for 2 cups of sugar, plus more for the crust, and lots of butter. Know my kids would love it, but I would really like to find healthier alternatives. Thanks for the recipe! Three things I really don’t care for – cereal (especially bran flakes), dates, and beans – LOL! But, I do wonder if the whole is more than the sum of parts for this recipe. I might have to give it a try…and I’m definitely passing this post along to my friend in search of a good breakfast cookie! You can find unsweetened coconut at Good Earth in the bulk bins. Those sound really good. We eat a lot of bars, and they are so expensive. I really should try to make some. What a cool recipe. I really want to give it a try. Great Grains is literally my 14-year old’s favorite cereal. Love the addition of those beans! I have everything but the cereal…do you think oats would work or just a different kind of cereal, shredded wheat or something? They look so yummy! I think any cereal would do if it were on the crunchy side. Maybe not oats, but granola for sure. What is the texture of these? Are they chewy or really hard? I’m wondering if my toddler could handle them. I remember these being chewy, as long as they are not over cooked. I usually undercook slightly to keep them soft, and then store them in an air tight container. I am so happy to found this recipes from your site! 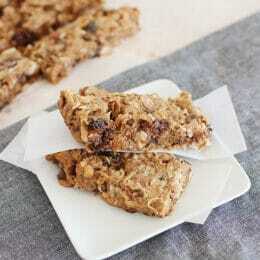 I have been looking for good recipes for cereal bar , since we have about 10 boxes of Great grain cereal. We have 5kids, but 2 kids Are allegies to butter. So what can I put instead butter? Hi, I was wondering what cinnamon chips are? Are they like chocolate chips only cinnamon? Hi, I made these today and they are delicious. Mina- I used coconut oil and it worked well. 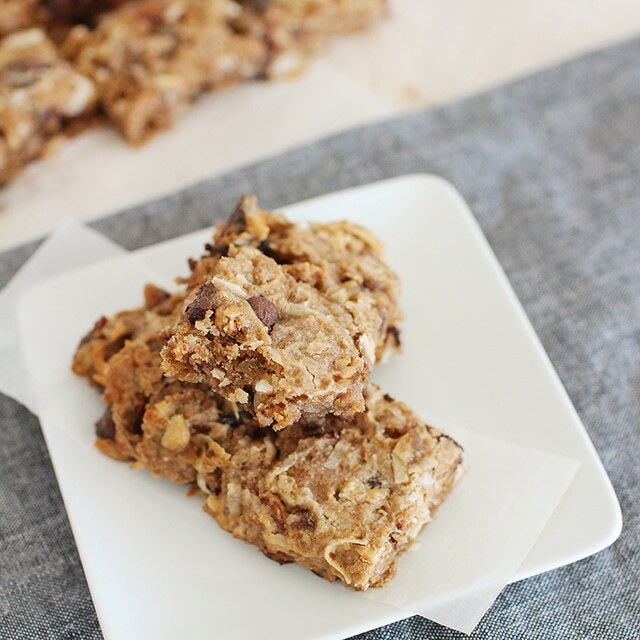 I would definitely make these as a dessert/cookie type treat instead of a healthy snack. They DO taste delicious and have more vitamins/minerals/fiber then most desserts. Next time I might halve the sugar and honey because I think they would still be sweet enough. Yikes Andrea! How embarrassing! I do think our recipes have gotten healthier since this one! Don’t be embarrassed, your site is amazing!! Thank you for all that you do!! I think this recipe will still taste really good with half the honey, brown sugar and maybe 1/2 cup cinnamon chips sprinkled over the top. Thanks Andrea!! We’ll have to give those a try again! How much fiber was in this bar? Hello! I’ve been following your website for a long time now and finally got the courage to go ahead and give you a shout out from Porter Texas! Just wanted to mention keep up the good work! Do you store these in the fridge? And how long would you say they last? Yes, you can store them in an airtight container for up to a week.